We were looking at HMRC's Making Tax Digital for last week's Finance Fridays. 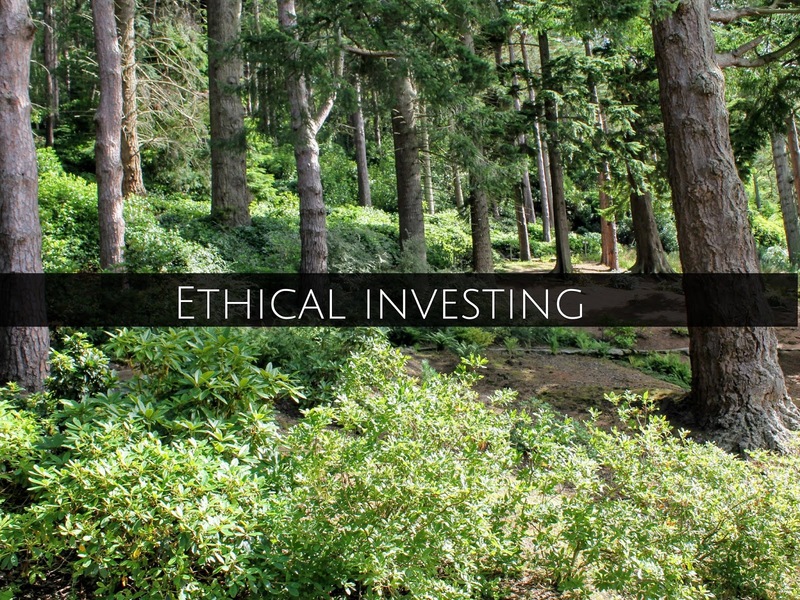 This week we are talking about ethical investing. What sort of companies count as being ethical ones? Is it really worth investing in them and can you make any more from them? What is ethical investing? - There are a range of definitions depending on your point of view. Some people will shun away from companies whose business is in alcohol, gambling, tobacco or weapons. Other people are more concerned about the social and environmental side of a business so companies which pollute the environment or have a bad human rights record will be a big no-no. Is it hard to be an ethical investor? - There are a number of asset and investment fund managers who have funds based around ethical investing. You will be able to check what companies they invest in. If you want to go it alone you will need to do a full background check on each company and see if you agree with their practices. Do note you may find it hard to find a truly ethical company. Alternatively you may want to looking at crowdfunding start-ups as an ethical choice. Will I make money? - As with any type of investment you may make or lose your money. Historically ethical investments have not made as much money. That's because things like alcohol, tobacco and arms are big business. However, if you are interested in ethical investment then making big bucks probably isn't your first thought. However, as the world becomes more aware of its responsibilities then companies with an ethical approach will become more successful in time. Have you invested in ethical companies? Do you favour ethics over investment returns? If you want to join in with this week's Finance Fridays then add your link to the linky below. Any post concerning financial matters is allowed. Full details here. It doesn't have to be published today as you have until 23.55 on Tuesday 26th March 2019 to join in.